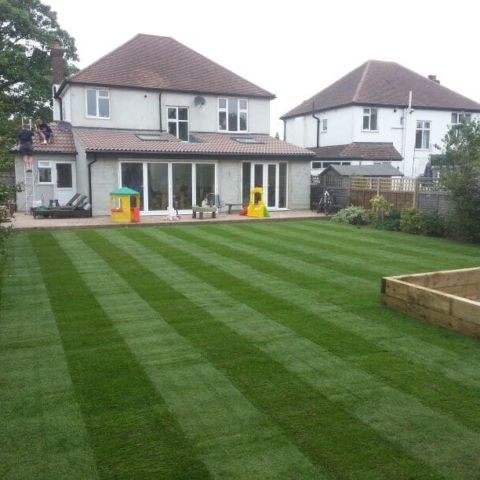 Woodcote Fencing and Landscapes provide a range of bespoke turfing services to ensure that your garden has a vibrant, weed-free, perfectly edged and beautifully green lawn all year round. 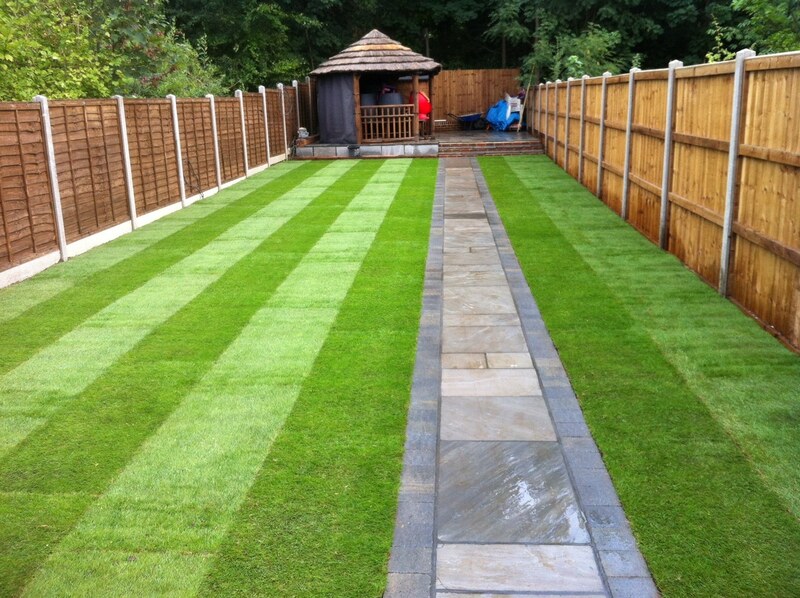 Healthy turf can have a huge impact on the overall appearance of a garden and your enjoyment of an outdoor space. A well-maintained lawn makes back and front gardens look neat, tidy and bright, and is an important focal point of any landscaped space. 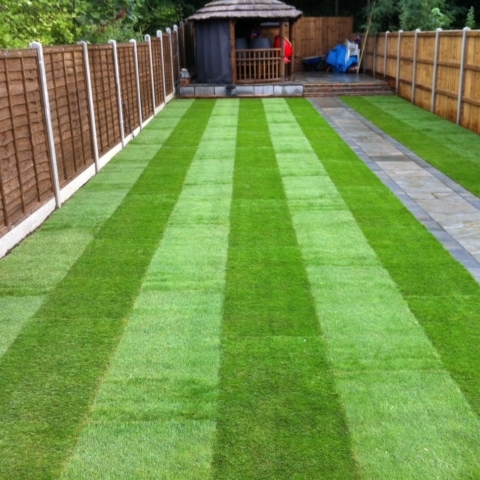 Why choose turf for your garden? 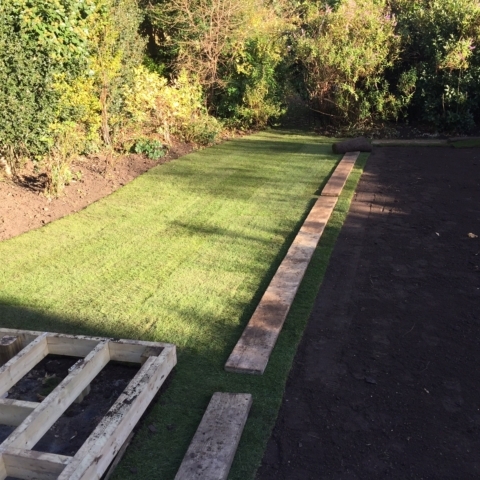 There are many benefits of laying turf in your garden, as opposed to letting grass grow naturally from seed or simply having concrete or paving throughout. 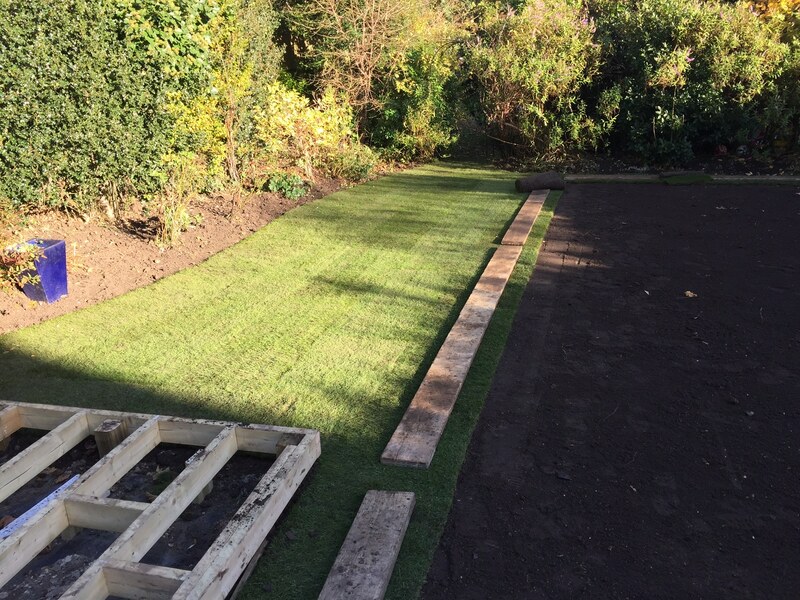 Turf is easier to maintain, simpler to lay, and can revitalise and restore the soil in your garden. 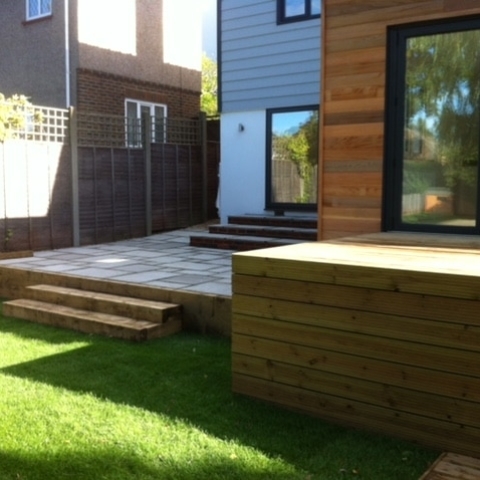 While a landscaped combination of grass, plants and paving certainly looks beautiful, a purely concrete yard misses out on the environmental benefits of turf – its ability to drain rainwater efficiently (and thus prevent flooding) and its importance in creating oxygen. 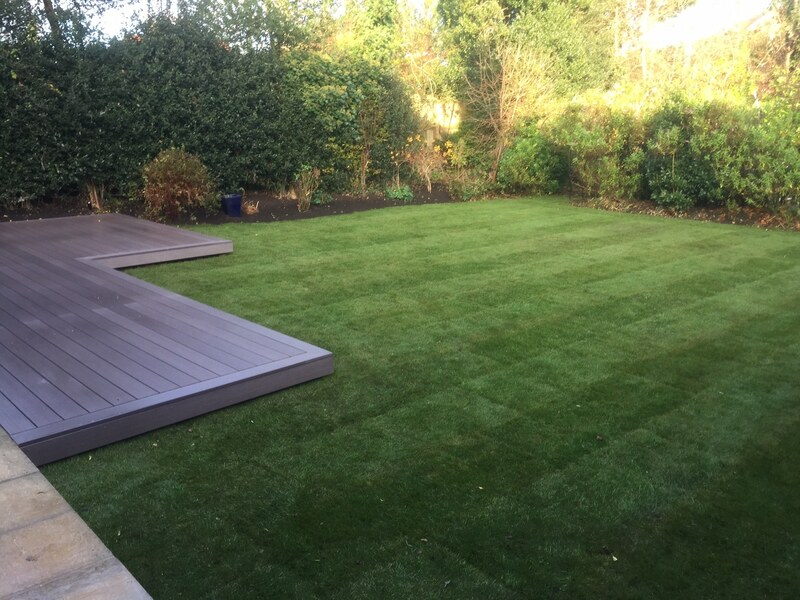 If you have an old lawn that is beyond repair, or a yard that is primarily concrete, stone or gravel, the Woodcote Fencing & Landscaping team can help you clear the existing garden and lay new, fresh turf to revitalise your garden. To remove old turf, we would spray and strip back the existing turf, then rotovate the soil and make sure it is level. Our topsoil is then distributed to make a healthy base, and the new turf is rolled out over this. 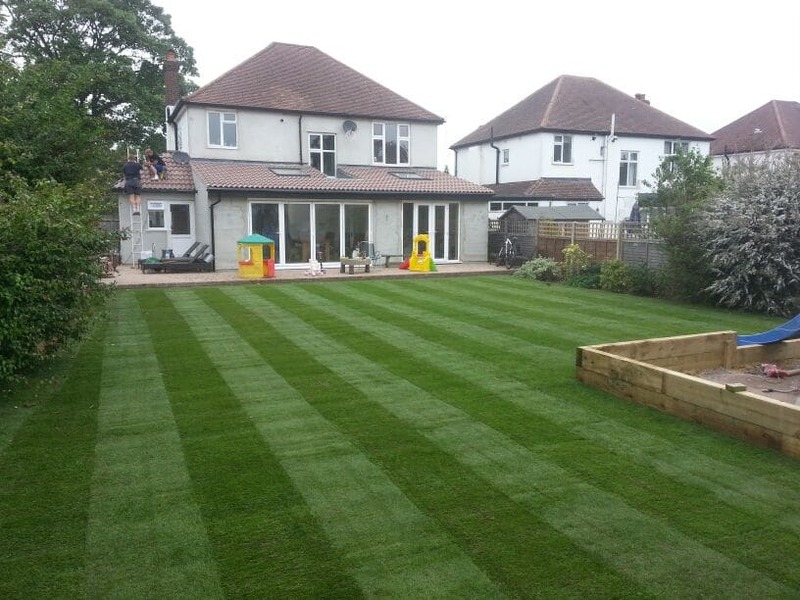 To keep your turf in good condition throughout the year, we offer a range of expert lawncare services – such as weeding, scarification and bespoke lawn treatment programmes. Lawn scarification involves raking the turf mechanically in order to remove debris, such as dead grass and moss. 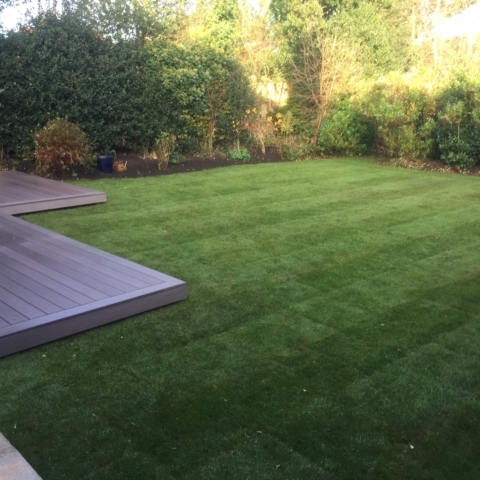 Our tailored lawn treatment programmes are designed by Green Thumb, and use environmentally friendly solutions to ensure your lawn is free of weeds and pests, and gets the nutrients it needs to cope with different times of the year. 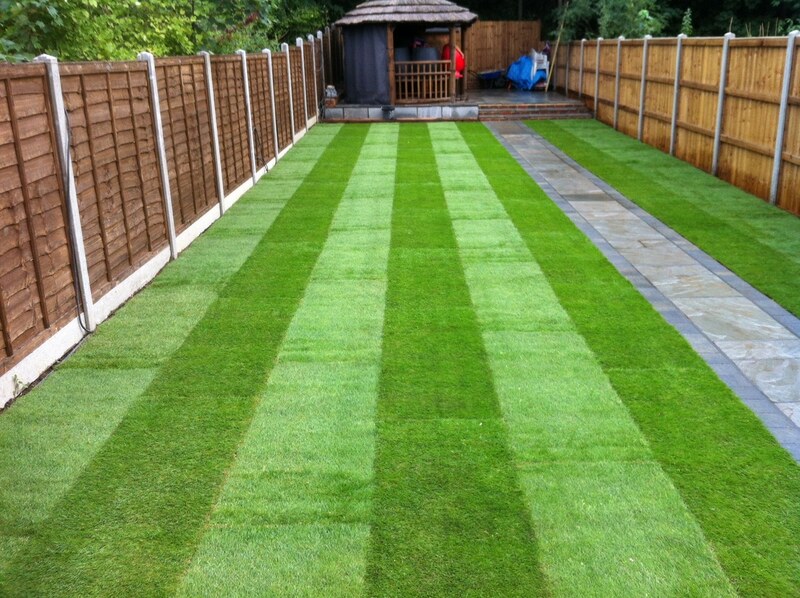 Our artificial lawns are perfect for domestic gardens or commercial green spaces where minimal maintenance is needed. 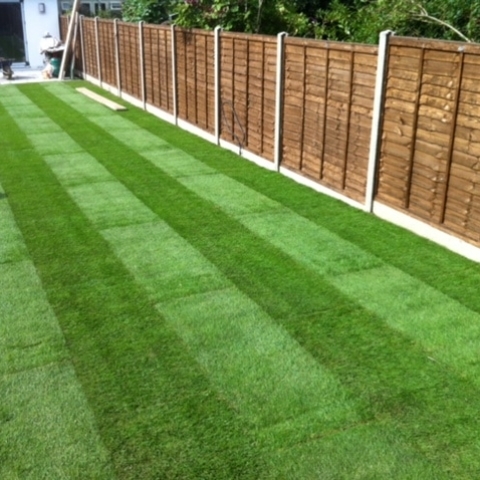 The Easigrass solution looks just like real turf, but is made from synthetic fibres that imitate grass and soil. 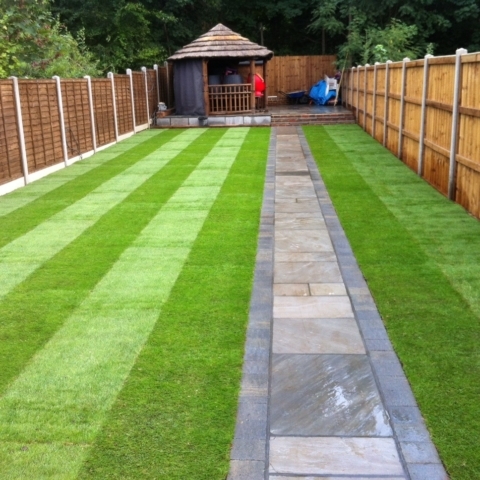 Not only does this mean that the turf doesn’t have to be treated, it can also be a much cleaner solution for homeowners – particularly those with young children – as the lawn doesn’t get muddy after heavy rainfall. 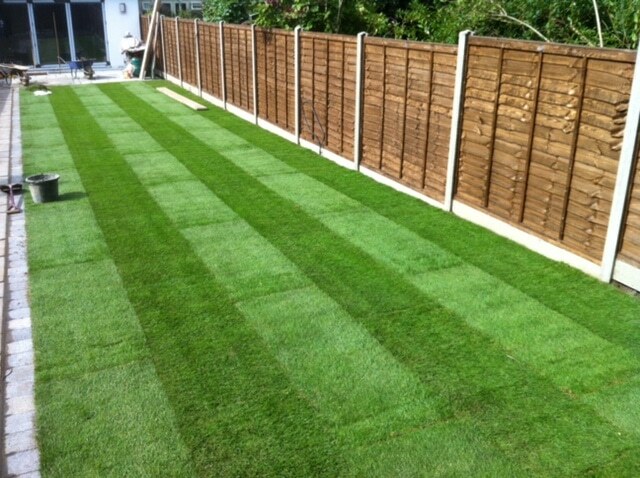 Whatever turfing option you choose, the Woodcote Fencing & Landscaping team will help you create a lawn that is attractive, neat and long-lasting. 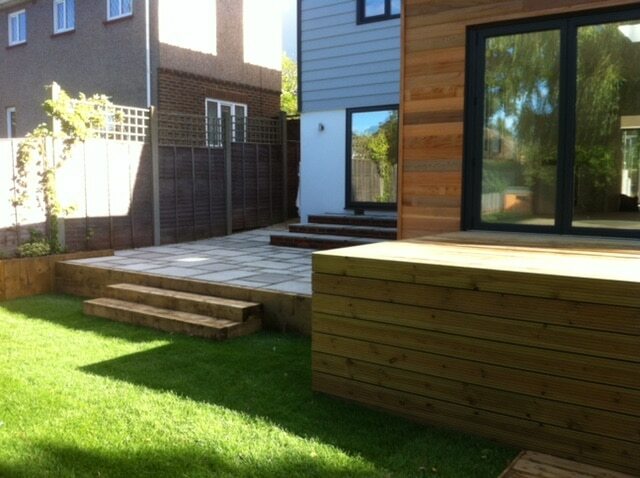 Contact us today for a free, no-obligation quote. 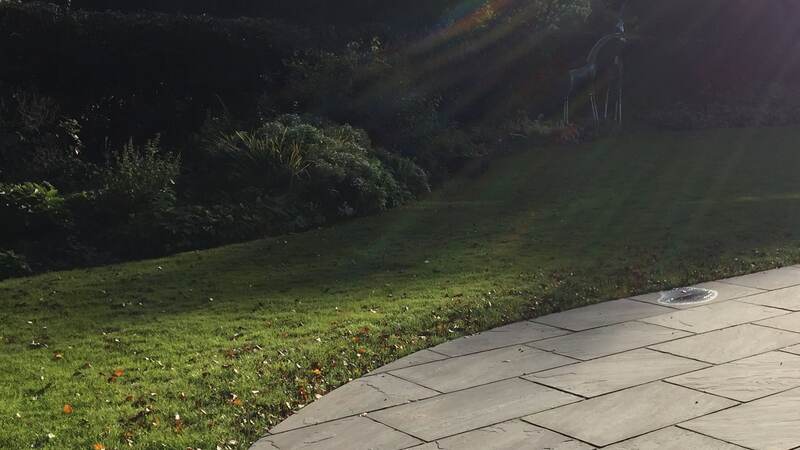 We provide a full range of soft and hard landscaping solutions to homeowners and commercial project managers in Ashtead, Banstead, Carshalton, Cheam, Epsom, Kingswood, South Croydon and Sutton.